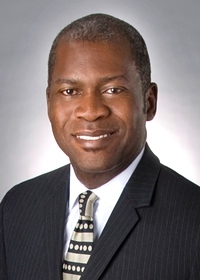 Today, Simon Youth Foundation (SYF) announced the election of C. Timothy Parnell, CHC, Executive Vice President and Chief Operations Officer for Bader Company, to its Board of Directors. Parnell joined Bader Company in 2010 after serving with the nation’s largest provider of health care benefits for over 20 years. Parnell’s tenure at Bader Company has been marked by strong results, including high-growth percentage and his proven ability to develop and retain customer relationships, and his quick ascension to the role of Executive Vice President and Chief Operations Officer in May 2016. In his current role, Parnell is responsible for overseeing day-to-day operations, revenue growth, client retention and relationships. He manages Bader’s Sales & Marketing Department, Customer Service, Claims Department, IT and the Licensing Department. Parnell earned a Bachelor of Business Administration degree from Faulkner University in Montgomery, Ala. He joins a Board of Directors comprised of dedicated individuals who lend their time, talent and treasure to support SYF’s efforts to measurably impact students, families and communities across the country. In late 2017, SYF’s Board of Directors approved the 2023 Strategic Plan to more than double the number of Simon Youth Academies across the country. This period of ambitious growth began at the start of the 2018-19 school year, when SYF welcomed five new academies. These additions bring SYF’s grand total to 35 nationwide Simon Youth Academies in 15 states, representing partnerships with 24 public school districts. In addition to the important work SYF does to help students graduate high school, the organization also supports them in their pursuit of post-secondary opportunities through college counseling and scholarships. In the 2017-18 school year alone, SYF awarded more than $1 million in scholarships to students of Simon Youth Academies, as well as high school seniors who reside in communities wherever Simon malls are located.